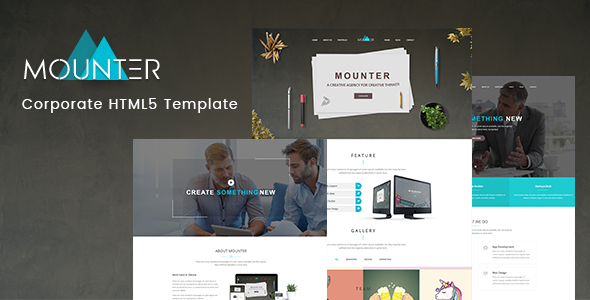 Mounter – Corporate HTML Template is a responsive, clean and modern designed Corporate business template . Mounter is suitable for all creative people, agency, creative business, company, individual or agencies portfolios, product or service selling website etc.. Mounter is a modern and creative template, suited for any type of businesses or organizations. It is highly super flexible, with a clean and professional design. Mounter is the perfect template to build a great website for your company.